Searching for Atlanta lofts for sale? If so, you’ve reached a pretty good resource for browsing what’s currently on the market. But before you start sorting through all the available lofts currently listed on the MLS, let’s first dive into what you might expect as you begin your quest to find the perfect Atlanta loft to call your own. As you probably already know, Atlanta certainly isn’t short on loft-style condos and is actually home to a pretty extensive inventory of unique and authentic loft spaces that rarely disappoint. 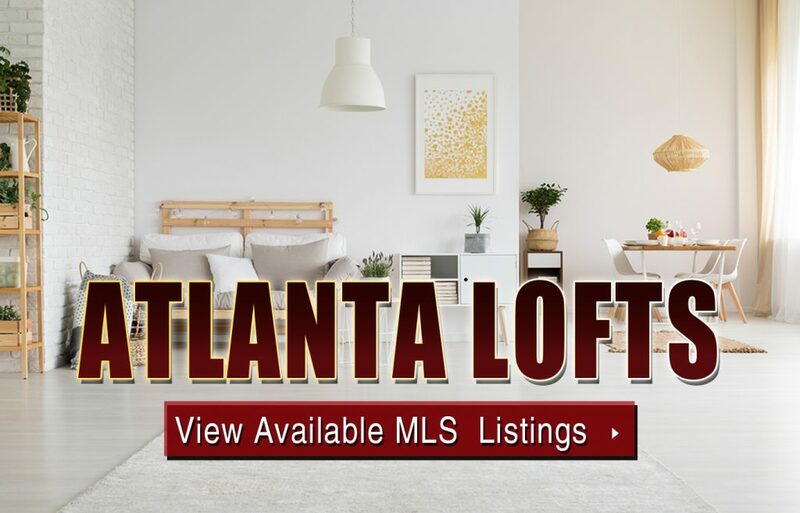 Atlanta lofts for sale can range from classic industrial style living spaces in an old converted warehouse to something that was just recently built that has much more of a modern vibe that couldn’t be more desirable to plenty of active home buyers out there. Break down your Atlanta loft search using the additional resources below. Whether you’re looking for a luxury loft right in the heart of downtown or an affordable loft in one of Atlanta’s trendiest neighborhoods, we’ve got you covered! Not surprisingly, many of Atlanta’s most expensive lofts for sale are situated up in Buckhead, but that’s not to say you won’t find a broad mix of luxury lofts scattered all over town. One of our favorite places to look for a great deal on a residential loft is the trendy Castleberry Hill neighborhood, which also happens to have one of the highest concentrations of loft conversions in the city. Regardless of which location or Atlanta neighborhood you prefer, however, if you can’t find something you like somewhere in town, chances are it doesn’t exist. Ready to start searching Atlanta lofts for sale? If you’re already familiar with the market of which building(s) you prefer, narrow down your search and only view what’s listed in each of the Atlanta loft buildings featured below.